Kim and I were driving to my mother’s house in Sherman Oaks for Mother’s day while having a heated discussion of why I was ignoring my self-nominated position of He Who Brings the Bagels to lunch. I was insisting we were going to be late, and it was not that important. Well, it was. And I am glad I listened to Kim and got off the freeway one exit before my mother’s and got a dozen bagels. As soon as we drove away my timing chain in my car broke. Having your car stop dead in its tracks in the right lane of Ventura Blvd. just east of Coldwater Canyon is annoying. But the alternative, had I not bought bagels–stopping dead on the freeway would have been catastrophic. 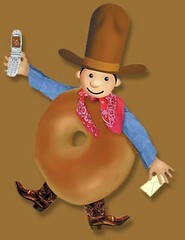 Eat more bagels. Listen to your wife. Drive the speed limit.